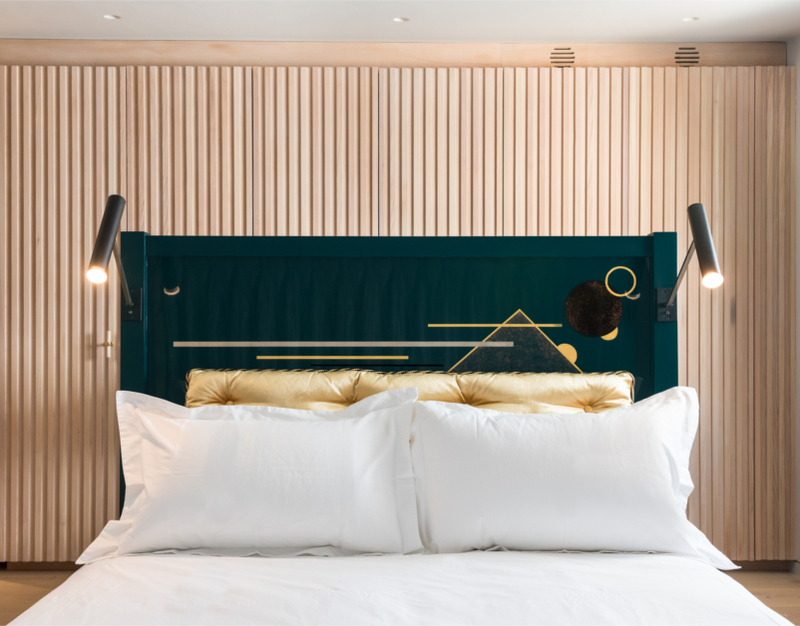 This bespoke bed was commissioned for architect Eryk Ulanowski’s first project since setting up his independent studio. Carefully hand-painted in a deep teal colour, this double bed was created for the master bedroom of this Covent Garden Penthouse. 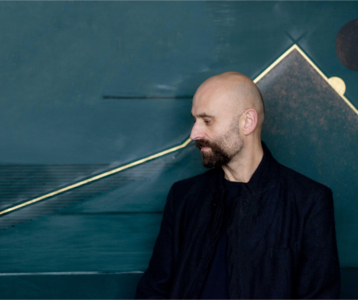 Historical Paint Master Pedro da Costa Felgueiras was briefed to craft an ornamental headboard in tones of silver, black and gold on a bespoke teal base. Following a face-to-face consultation with Eryk’s client, a number of initial designs were drawn up and an abstract mountainscape was chosen; a homage to the client’s interest in the Far East. 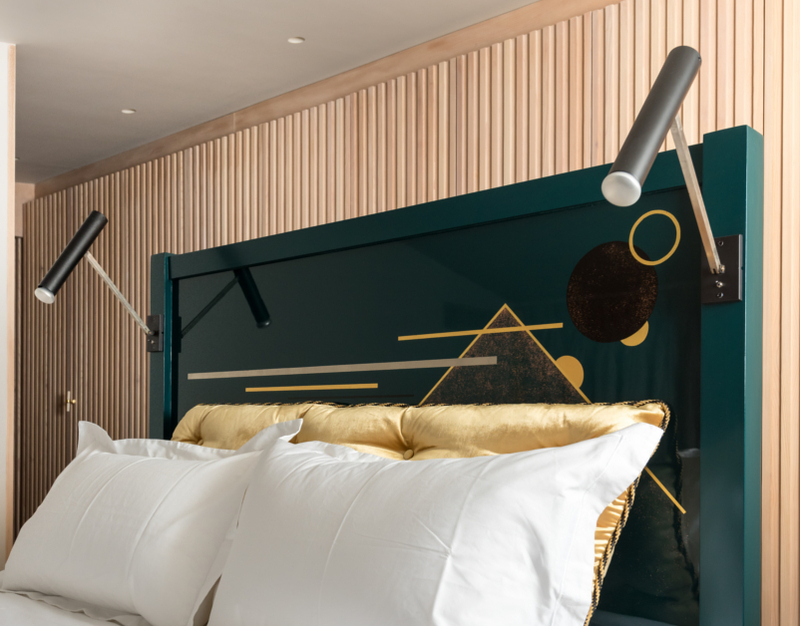 This complex project involved very specific technical requirements such as integrated bedside lamps with cables hidden through the bed and a bespoke cushion to protect the lacquer-work. 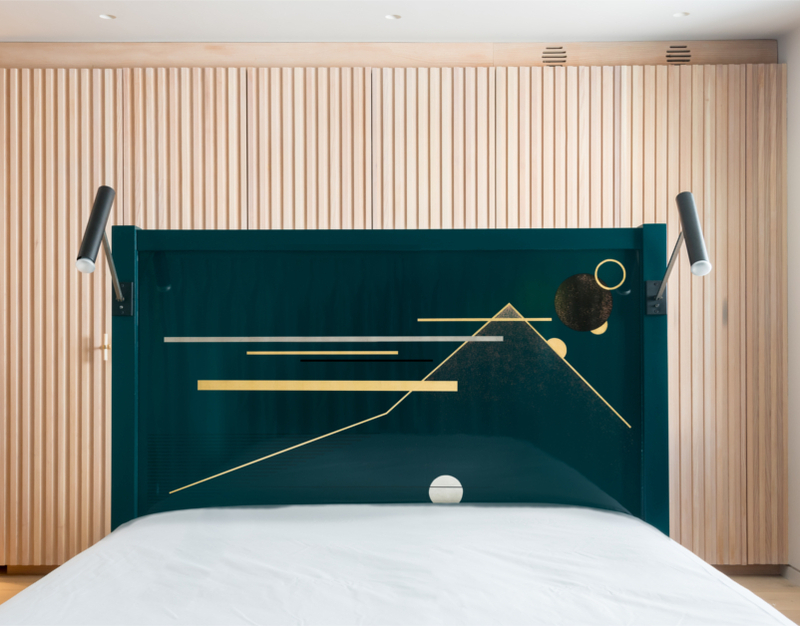 The resulting bed is a lavish artwork in the master bedroom, depicting an abstract landscape chosen by the client as a nod to her Hong Kong roots and beautifully complementing the timber cladding of the new built-in storage and en suite. I decided to commission Pedro for his unique and traditional craft ethos, design as well as skill. Plus his ability to dovetail into the existing project and work with the already developed design. TNC place the client at the centre, creating absolute bespoke and unique items.